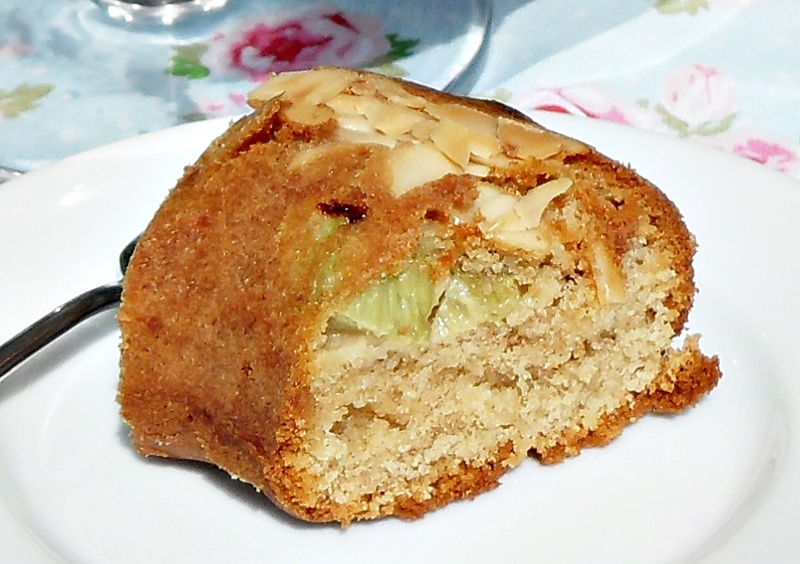 I was chatting to my mum recently when she told me about some Rhubarb and Marzipan Muffins her sister had been baking. 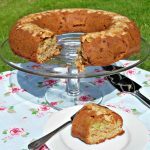 Well there was a flavour combination I hadn’t thought about and having plenty of marzipan and rhubarb the other day I decided to make a Rhubarb and Marzipan Cake. I based the recipe on Lilian’s Apple Cake and kept the cinnamon in it as I thought that would go really well too. The result was delicious and proved a good way of using up a glut of rhubarb I had and some leftover marzipan from Christmas! 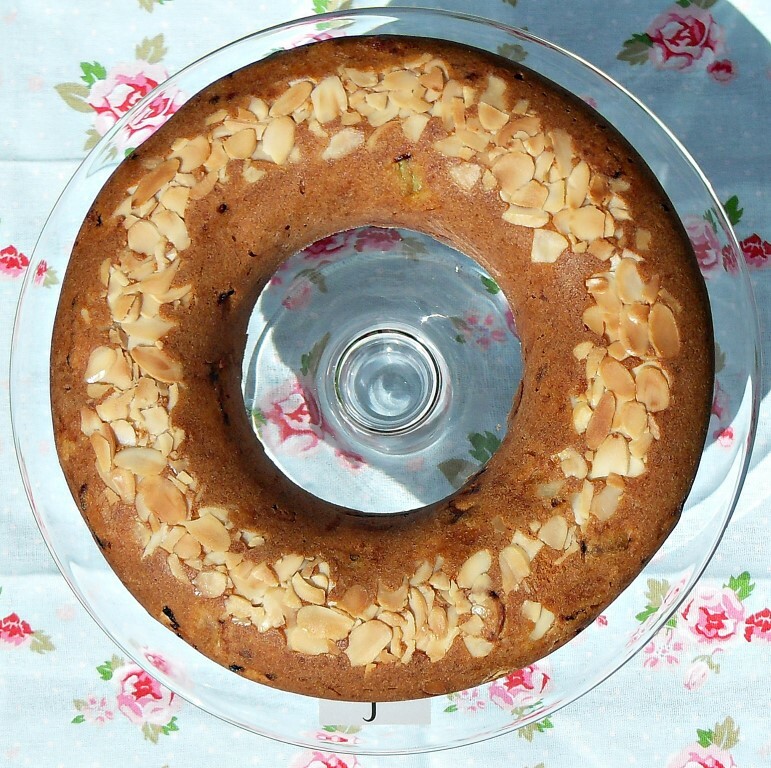 The flaked almonds on the top of the cake take become toasted which compliments the subtle marzipan flavour beautifully. 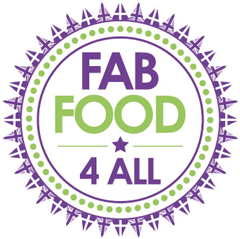 My mother, father and sister also got to have a slice over the bank holiday weekend and gave it the thumbs up to – phew! 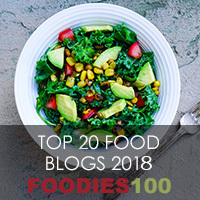 As this recipe used up leftover marzipan and some cheap rhubarb that was on offer I’m entering my Rhubarb and Marzipan Cake into Credit Crunch Munch which is run by myself and Helen of Fuss Free Flavours and this month being hosted by Linzi from Lancashire Food. 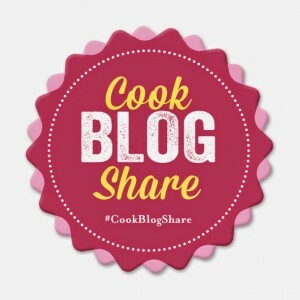 Next I’m entering a new event Cook Blog Share from Lucy of Supergolden Bakes. 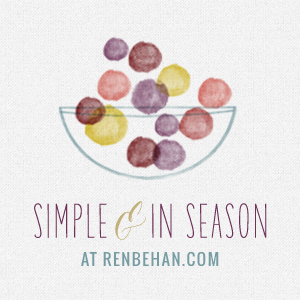 Simple & in Season is the next challenge I’m entering over at Ren Behan as Rhubarb is very much in season! 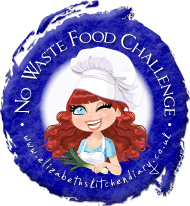 Finally I’m entering No Waste Food Challenge which is run by Elizabeth from Elizabeth’s Kitchen Diary and being hosted by Michelle from Utterly Scrummy as I used up my leftover marzipan, rhubarb and flaked almonds! 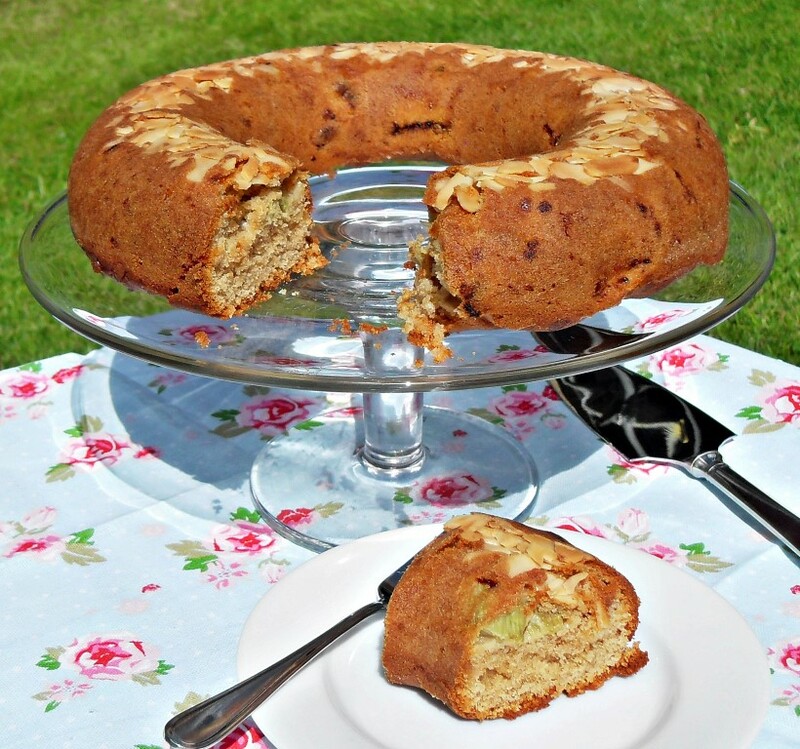 Rhubarb & Marzipan Cake with cinnamon, moist and delicious! 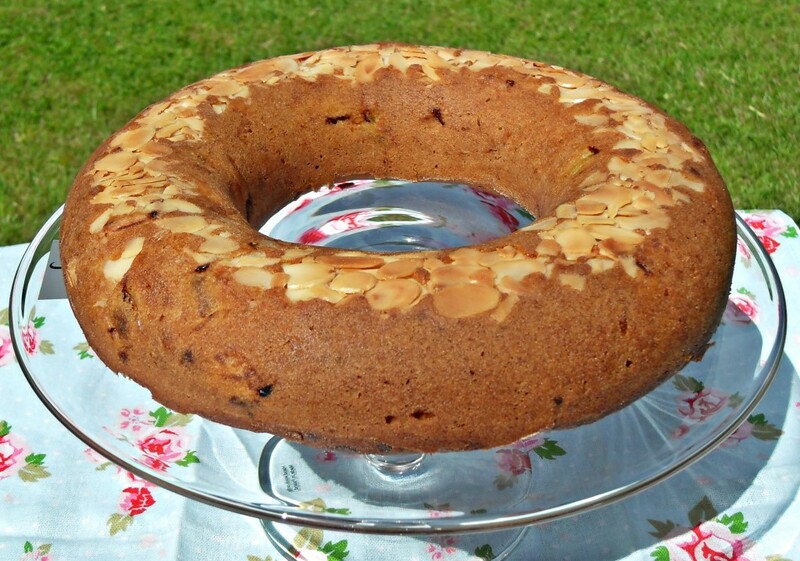 Butter and flour a 24cm hollow or 21cm round cake tin and sprinkle in the flaked almonds. Cream the butter/margarine together with the brown sugar using an electric whisk until light and fluffy. Whisk in the eggs in one at a time (if the mixture splits don’t worry). Sieve the flour, baking powder and cinnamon into bowl and gradually fold into the mixture with a large metal spoon. Fold in the grated marzipan and then the rhubarb. Bake on the middle oven shelf for 35 minutes or until an inserted skewer comes out clean and the cake springs back to the touch. Turn out of cake tin onto a wire rack and allow to cool. 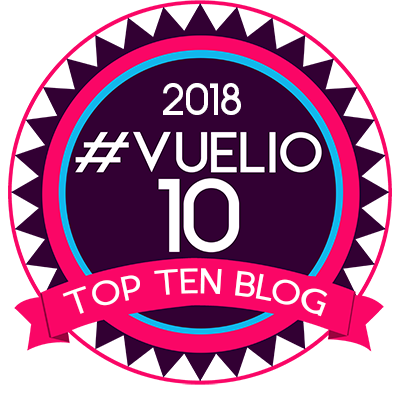 Will keep for 3 days in an airtight container (if it lasts that long)! This is definitely my kind of cake! I have never had a rhubarb one but it would be such a lovely thing to have a go at. I would stick with making crumble or pie with stewed rhubarb not cake as it will be too wet even after draining.